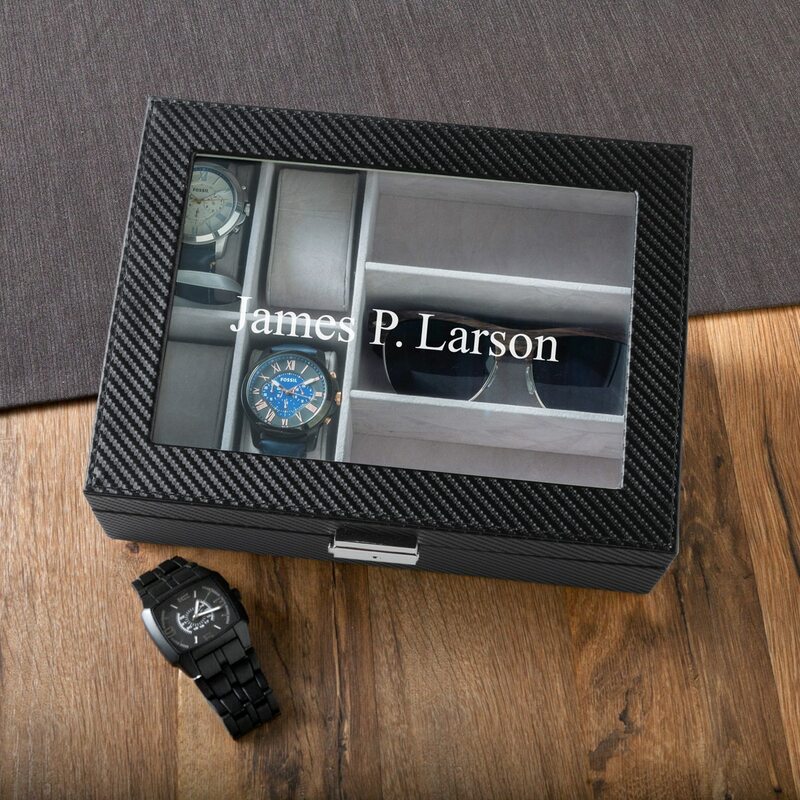 Your competitors won’t stand a chance when you walk into a negotiation with our “Master of the Meeting” gift set. Set includes a notepad portfolio and business card holder. Free Personalization: We’ll personalize each item with up to three initials for no extra cost. 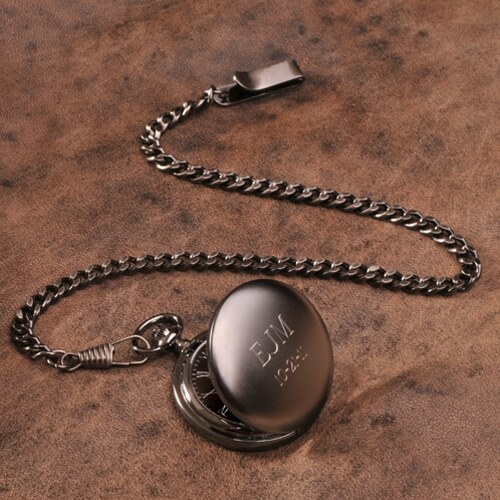 (Please note that the personalization will be the same on each item). If you have a husband, groomsman or boss who frequently travels to business meetings, this is the perfect gift set for them! 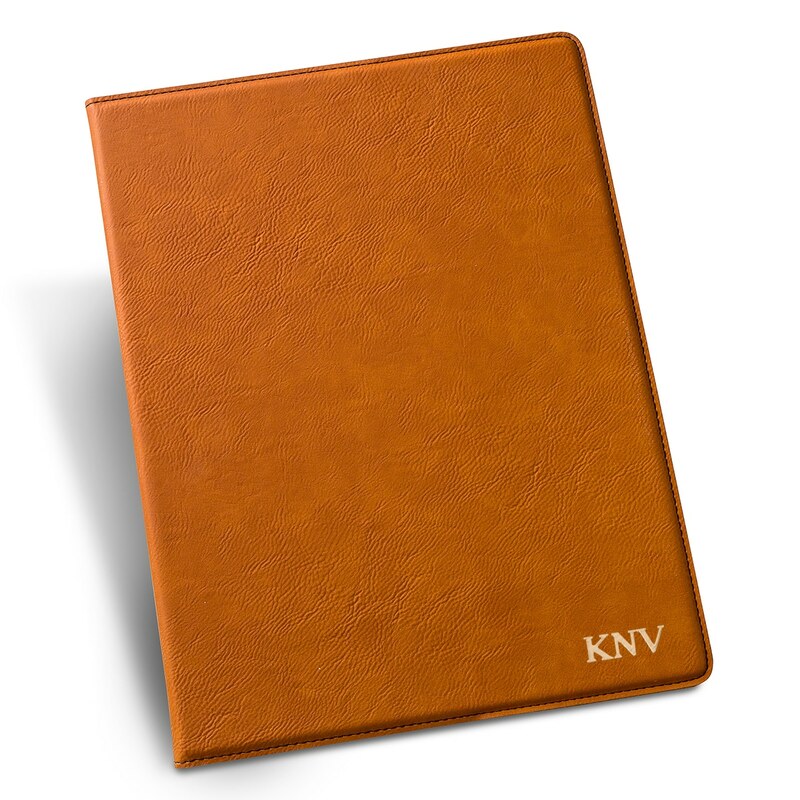 The “Master of the Meeting” includes a notepad portfolio and stylish brown business card holder. 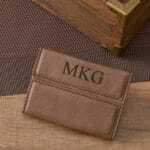 Both pieces are personalized with the recipient’s initials to even further add to the professionalism of the set. The portfolio includes a lined paper notepad and pen holder. 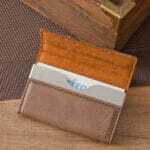 The business card holder boasts an interior chrome pocket for cards as well as a magnetic closing clasp. Now get out there and close some deals! Business card case: 3 3/4" x 2 1/2" x 1/2".